In Windows 8.1/8 and Windows 10, it is quite easy to disable Internet Explorer! A complete uninstall is not possible because many programs related functions from the MS-IE. This address (program) you can use in the address bar of the MS-Explorer (Windows + E key combination). (... see Image-1 Arrow-1) . In the Windows Features you can now disable the Internet Explorer 10 in Windows-8 and the Internet Explorer 11 in Windows 8.1! (... see Image-1 Arrow-2)! See also: ►►► Can i change drive letter in Windows 8.1 and 10! Windows-8 - FAQ-125: How to uninstall the Internet Explorer in Windows 8.1 and 10! How to uninstall windows explorer in windows 8.1? Disable internet explorer windows 8.1? Uninstall internet explorer from win8? Internet explorer delete from windows 8.1 or uninstall internet explorer completely from windows 8? Remove ie in winows 8.1? How to uninstall internet explorer on microsoft 8.1? Program to completely remove internet explorer in windows 8.1? Uninstall windows 8 internet 11? How to remove internet explorer from windows 8.1? Uninstall internet explorer in windows 10? Uninstall internet explorer completely windows 8.1? Is it possible to delete internet explorer windows 8.1 and win 10? Windows 8.1 disable internet explorer? Disable windows explorer wndows 8.1? How to uninstall internet explorer 8.1? Uninstall windows explorer from windows 8? Internet Explorer Win 8.1 Reinstall? Uninstall internet explorer 10 completely? How to deleat internet explorer 11 totaly from windows 8.1? Howto remove internet explorer completely from windows 10? Uninstall Internet Explorer 11 for Windows 8.1? Why can't i completely uninstall internet explorer? How to uninstall and reinstall internet explorer 8.1? How to diasble or depdete windows explorer in win 8.1? Reinstall internet explorer 11 on windows 8? Uninstall internet explorer windows 8.1? How to stop internet expolrer in windows 8? Daoloat file optionalfeatures.exe win 8.1pro? Reinstall internet explorer windows 8.1? How to disable internet explorer on windows 8.1? How to uninstall a download from the internet windows 8.1 and 10? How to completely uninstall internet explorer from windows 8.1 and 10? It is posible to uninstall or remove the Internet Explorer 10 from ms windows 8? How to uninstall internet explorer in window 8.1 and 10? How to disable internet explorer in windows 8.1 or 10? Disable internet explorer in windows 8.1? How to remove internet explorer 11 on OEM HP? How can remove internet explorer in win 8.1? How to uninstall internet explorer in win 8? Disable windows explorer win 8, or uninstall internet explorer windows 8.1? Windows 8.1 without internet explorer 11? Remove internet explorer completely windows 8.1? Uninstall Internet Explorer Completely from windows 8? Uninstall reinstall internet explorer windows 8.1? Uninstall Internet Explorer Completely from windows 8.1? How to uninstall ie in win 8.1? 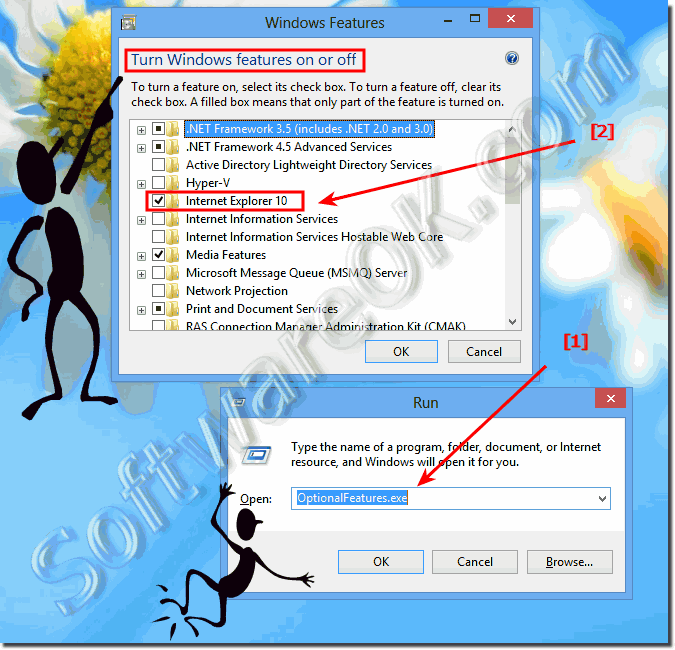 How to disable internet explorer in windows 8.1? How to remove windows explorer from windows 8.1? Remove windows exploer from win 8.1? How to uninstall internet explorer completely from windows 8.1? Disable ie in windows 8.1? How to uninstall windows 8 internet explorer and reinstall windows 6? How to removw internet explorer from windows 8.1? How to remove internet explorer application in windows 8.1 or Windows 10?